This bundle includes PowerPoint presentations, task cards, a bell ringer record sheet and a peer editing sheet. 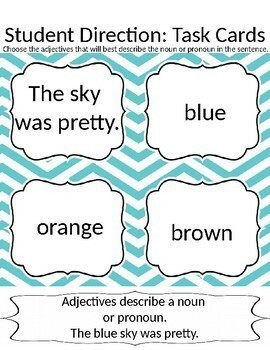 This unit can be used as an introduction or review for basic grammar. 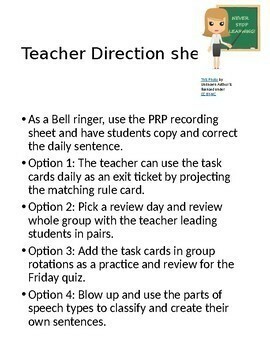 The PowerPoints can be used as a bell ringer and the task cards as a daily or weekly review. 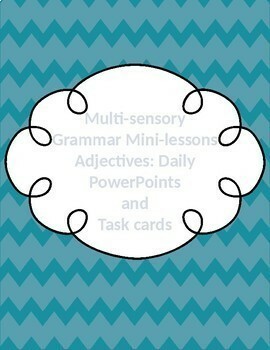 The task cards can be used as a whole group, in a center or share-pair activity. The intent of the mini-lesson is to be used inside the writing units throughout the school year. The parts of speech are color-coded for multi-sensory integration. 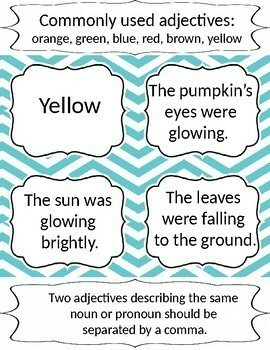 The teacher can have students use highlighters to highlight the parts of speech within writing and reading selections. This practice promotes active participation and mastery. This bundle offers all of the products for half of the individual price.